Why Happy? The happy naked frog focuses on personal growth, not material gain, his happiness comes from inside. It isn’t the kind of happiness that can be bought, and neither can it be taken away. 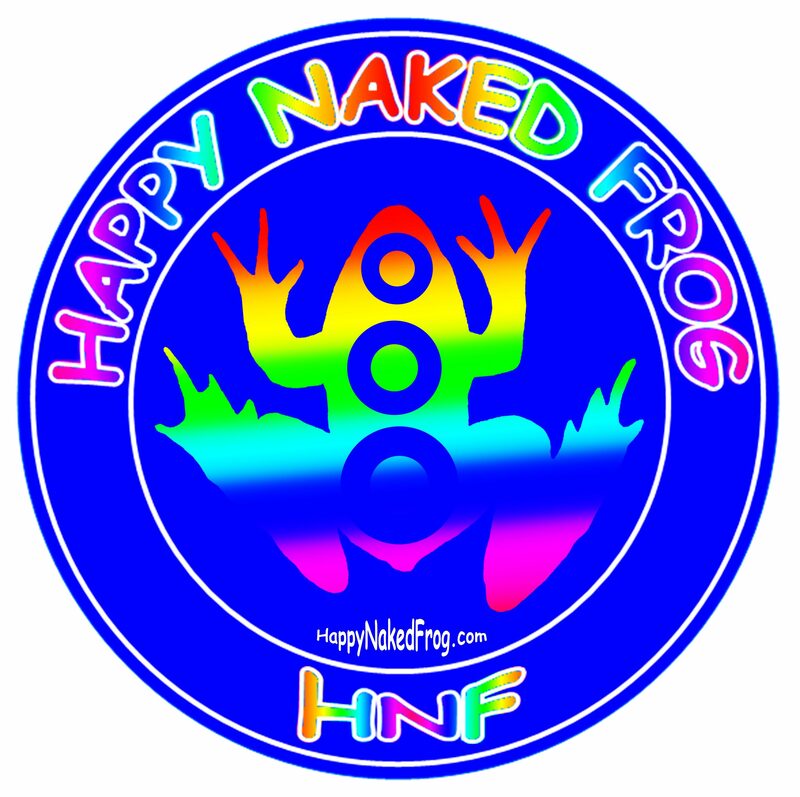 The three circles on the happy naked frog represent mind, body and soul, all of which feed off of and support each other. Nothing in life works well without balance and that is especially true with the individual aspects of our being. The happy naked frog represents that balance and internal happiness that we hope we can share with you. Why Naked? This world has plenty of negativity and chaos that attaches to us if we allow it to. We also tend to create our own problems in addition to those around us. The happy naked frog doesn’t wear the unnecessary burdens of this world. He is free from long term anger, drama, resentment and fear. He doesn’t hang on to hurt and knows that he doesn’t have to forget but he needs to forgive. He also knows not to get burdened with an excessive amount of material things that leads to overwhelming debt. When it comes to wearing the traps of this world, he is as naked as the day he was born. Why a frog? Frogs represent many things in different cultures. Some of them are, healing, transformation, renewal, cleansing and peace. All of these are things we at the Happy Naked Frog try to focus on. And of course, a frog is representative of nature and we also encourage everyone to have a strong connection with nature. What does the Happy Naked Frog stand for in a nutshell? It’s about being good to ourselves, each other and the earth. It’s about looking for the positives in the world around us and building on them. It’s about the creativity, music, art inside all of us and being simplistically and truly happy.